STAMPEDE was conceived as a modern performance cruiser that offered a custom, high quality finish on an easily driven hull form. She was built strong and light to cruise short-handed or to cross oceans, both of which she has done with great success. Owned by the same family since new, she is a powerful offshore sailing yacht with a gorgeous teak joinery raised saloon interior. If you are considering an offshore sailing yacht, STAMPEDE is worthy of closer inspection. United Yacht Sales New Jersey would love to guide you through a personal showing of this 58' Concordia Ron Holland Custom 1986. 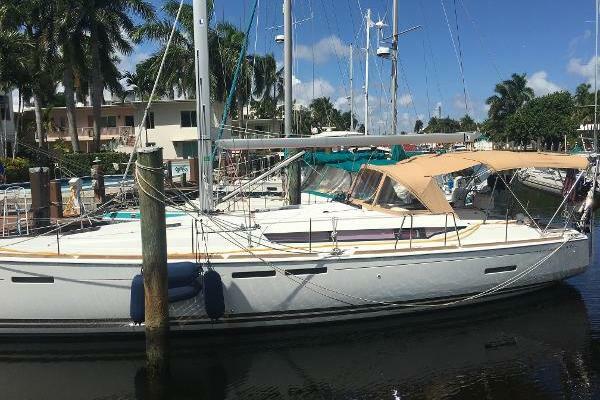 This yacht for sale is located in Northeast Harbor, Maine and priced at $350,000. For a showing please contact us by filling out the form on this page and we will get back to you shortly!